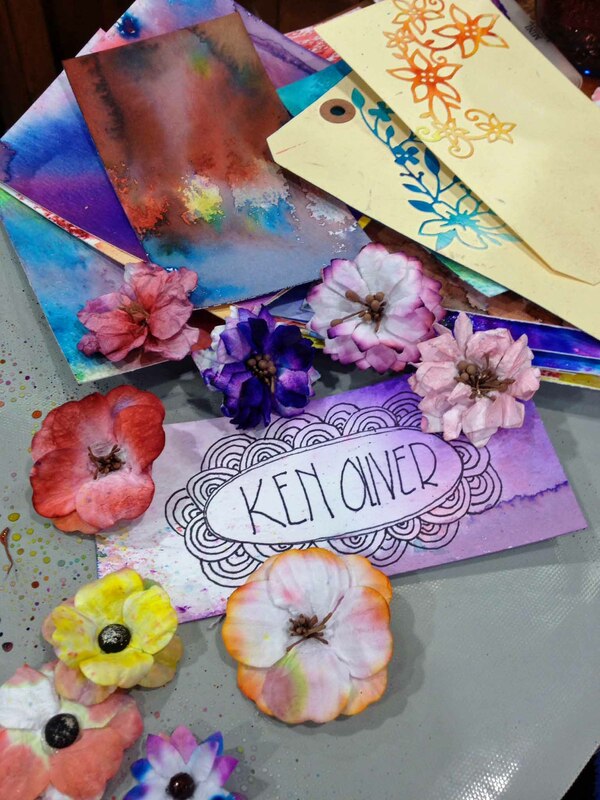 Spellbinders® always has a delicious booth at the CHA MEGA Show, but this year’s entry was a delightful mix of artistic styles that gives the company a fresh appearance, with something for everyone. There are also some cool new tools, including the Platinum™ Die-Cutting & Embossing Machine, billed as Spellbinder’s most powerful machine to date. I’ll post more on the new tools later. There was a decided Southwestern look to the booth, with lots of clean, simple geometric shapes – all very on trend. 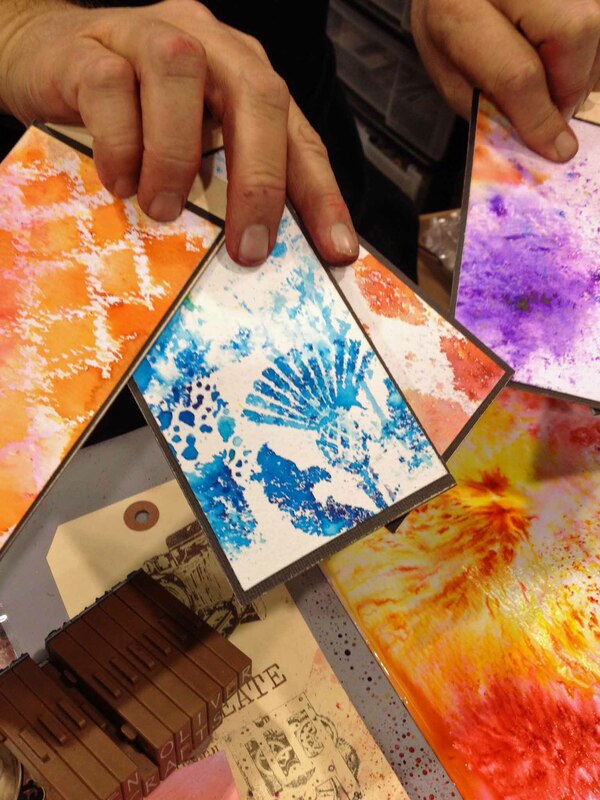 “We’re looking for a modern, contemporary (feel) while staying true to our roots,” said Spellbinders CEO Greg Tipsord. And that they did. Mixed media artist Seth Apter’s first release with Spellbinders® includes dies, embossing folders, stamps and a journal/planner/artist book set. The third designer added to the team is Debi Adams, who created the Quite Contrary™ collection with her signature clean and spritely style. The collection includes stamps and beautiful steel rule die flower shapes. Don’t those flowers make you say “Yay, Spring!”? I’ve long been a fan of Becca Feeken’s stunning Amazing Paper Grace line (and blog), so I was immediately drawn to her display of the Amazing Paper Grace Wedding Collection with its gorgeous array of elegant, delicate, swirling die designs. Here she is with designer Donna Salazar, who brings a load of new dies and stamps to her “Girlie Grunge” style, including my faves, Cascading Butterflies die and Flower Bouquet, a stamp/die flower combo. Spellbinders® founder Stacey Caron has gone all out with a gorgeous, elegant selection of Art Deco dies, which I covet! But we’ll have to save the rest of my Spellbinders® report for another post. 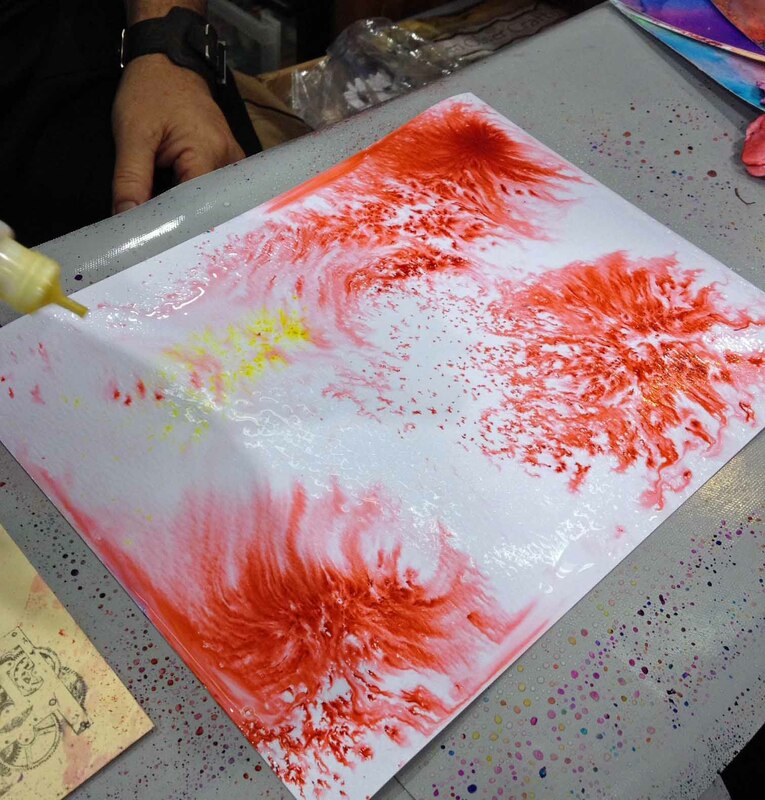 Stay tuned for more on Spellbinders®, including a look at some of the samples seen at the show! Designer Richard Garay’s catch phrase is “make amazing happen,” and he does that with his new collection of stamps, dies, papers and accessories. You may have been introduced to Richard through his Celebra’tions™ line, first shown via Spellbinders. He’s expanded the line and also branched out into several different looks, from spritely florals to outdoorsy lumberjacks. “I don’t want to get locked into one style,” he explains. 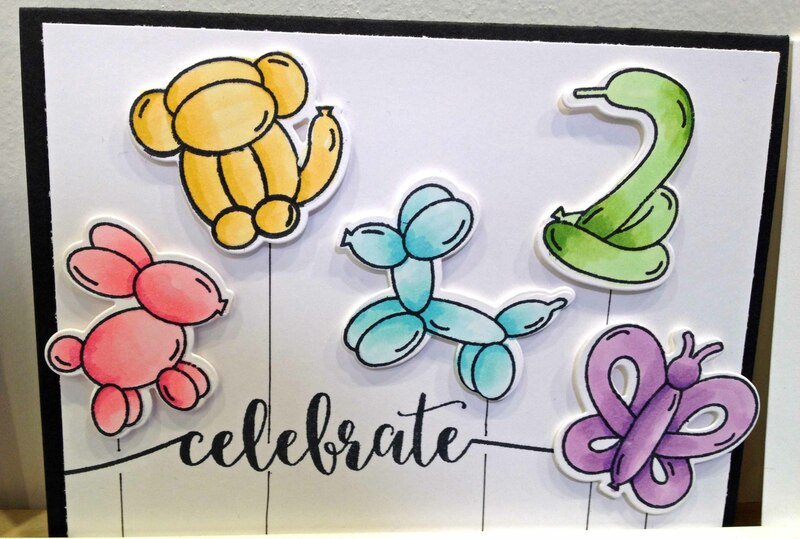 The Celeba’tions™ line has everything you need for a party, from balloons and banner stamps and dies to a fun new box die for party favors or gifts. And check out these flowers! Lumberjack Days is more than just plaid shirts and manly beards … it’s all about outdoor images, include trees, flowers, animals, etc. One fun set is the Great Outdoors die, which punches out pieces perfect for a 3D scene or a child’s school diorama. The Knitted Pattern and Pine Needles embossing folders caught my eye for next winter’s cards. The Make Amazing Happen Collection has some great affirmative phrases, such as Brave You, Make Amazing Happen, and Be Amazing. Noteworthy, with a slightly vintage flair (what he calls “modern vintage”), is built for corresponding with cute envelope, telephone and other designs, including some fabulous paper in shades of khaki and black. As for accessories, I like the matte finish enamel dots as a little change from the shiny ones. They’d be great on more masculine cards. Check out more on Richard at www.RichardGaray.com. Welcome back! 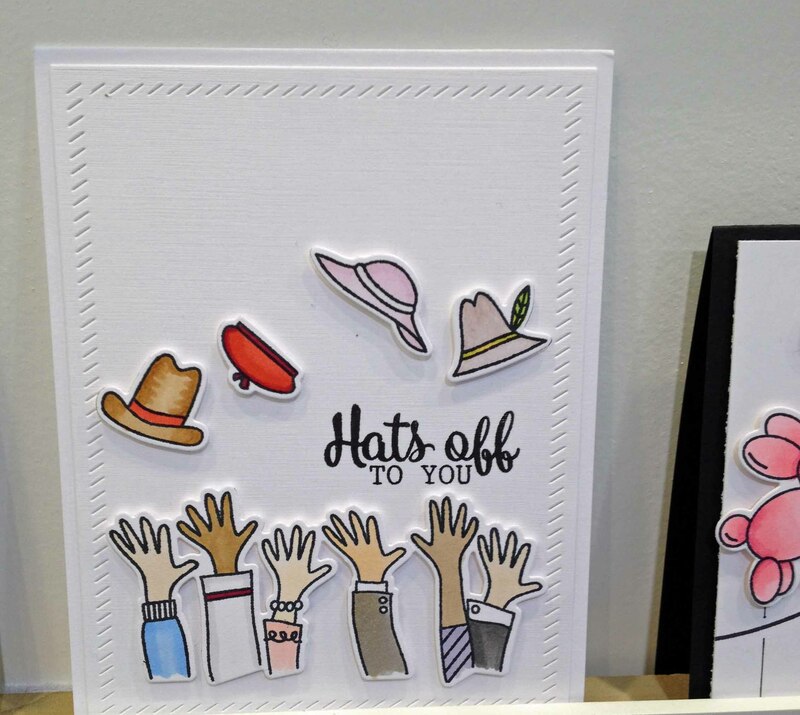 Yesterday I started to highlight some of the new designs from Sizzix, but there are so many cool things, I need another post. First, let’s continue with our designer highlights. I love the beautiful, romantic, detailed dies from Sharyn Sowell. At the booth, she showed me how to cut them apart to use smaller pieces. So pretty! 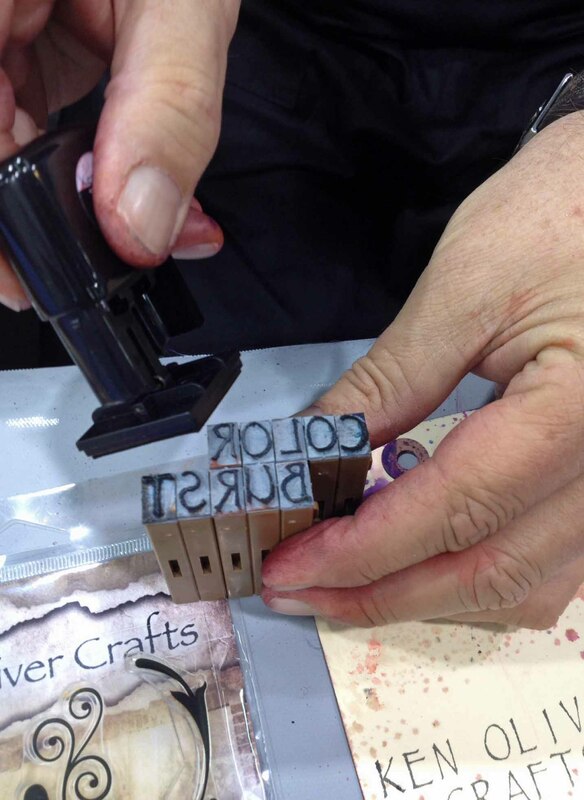 If jewelry is your thing, Jill MacKay’s Movers & Shapers ™ Magnetic Dies will cut pretty leather pieces, while the DecoEmboss™ dies nicely impress metal blanks. There was so much more, with designers for every aesthetic. For instance, if you like to cook and bake, check out the Where Women Cook™ dies from Jo Packham, which not only has lots of treat boxes and bags, but some clever food-related decorating dies, such as the Bread album, which cuts out, yes, slices of bread-shaped material. Get your ooh la la on with Kaari Meng’s French General designs; have some fun with Brenda Walton’s pretty posies; get back to nature with Jen Long’s outdoorsy dies and designs, including owls and acorns; and enjoy the whimsical doodle-like designs from Stephanie Ackerman. For home décor enthusiasts, there’s the Big Shot™ Plus, with a 9-inch opening to handle larger dies, sized perfectly for home décor. The Tool Caddy attaches to Big Shot machines and offers a handy place to stash your scissors, pencils, etc. 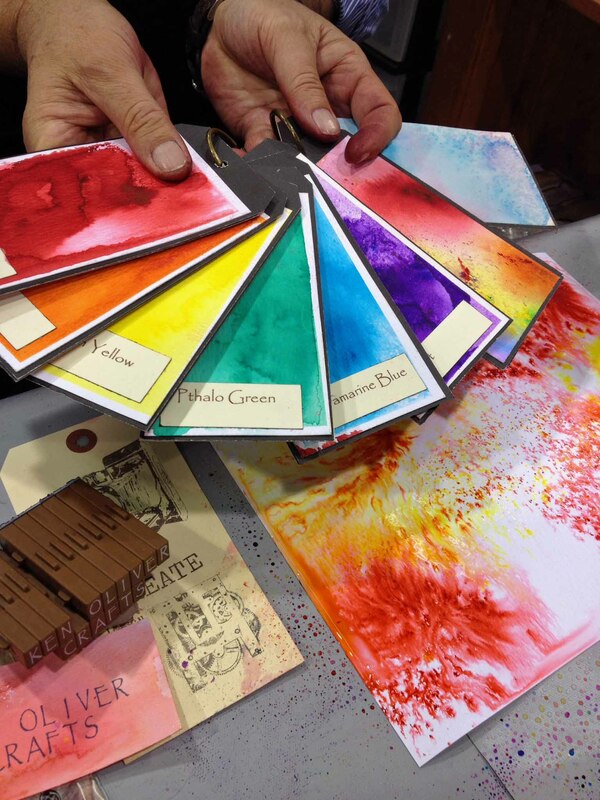 Tim Holtz has upgraded his Vagabond to the Vagabond 2. There are upgraded adapter pads to keep the machine from jamming on sandwiches that are too, er, meaty. AND … he has some new dies… see more at his site. Thanks for hangin’ in there and stay tuned for more in-depth coverage of the hobby show.